Strucchange is a package to detect jumps in data. They have an example of the effect of the Aswan dam on Nile water. Those data are suitable to compare the methods available. For strucchange this is just following the example. The result is an effect on water flow around 1898. There is just one catch. 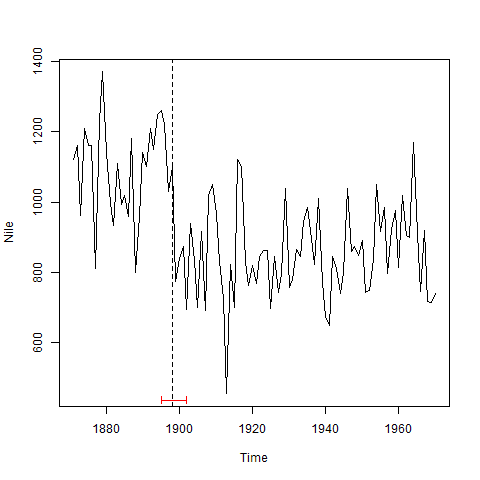 It needs a time series, so regular data over time. Interestingly tree gives 1898.5, about the same answer. Segmented does not work. It is not devised for this kind of step changes. 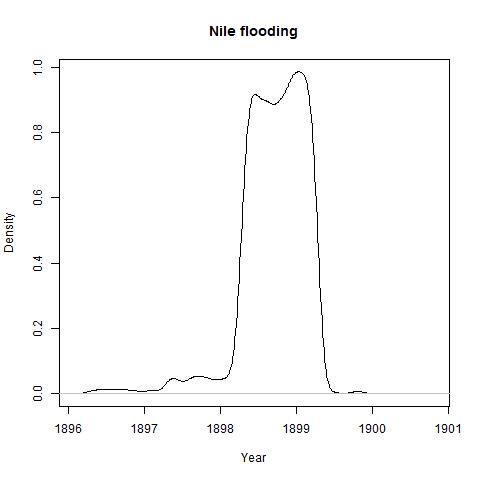 The Bayes model is working the Nile data, but the result is not quite the same as strucchange. The interval for the dates is a bit smaller. As written above, I used these climate data before. I now realize they are updated every month, 2012 is now complete. As I want to use these data again, a few lines to process the data prior to read.table are added. My choice was to use three breaks, approximately near 1900, 1940 and 1970, to initiate the algorithm. The data shows four phases. A decrease till 1910, an increase till 1940, a flat till 1970 then an increase. 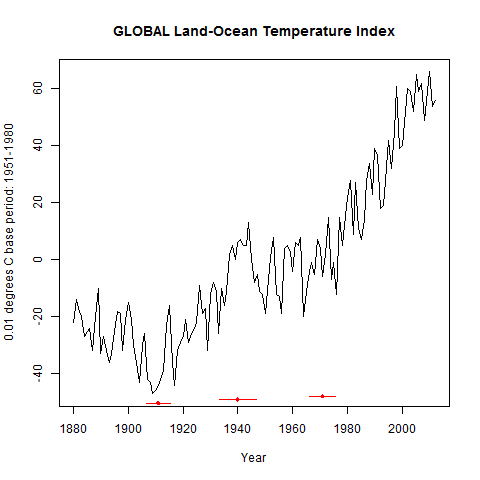 Given the sensitivity of climate I feel obliged to mention I am not a climate specialist and hence cannot vouch for the appropriateness of the segmented model for these climate data.